KaBOOM! 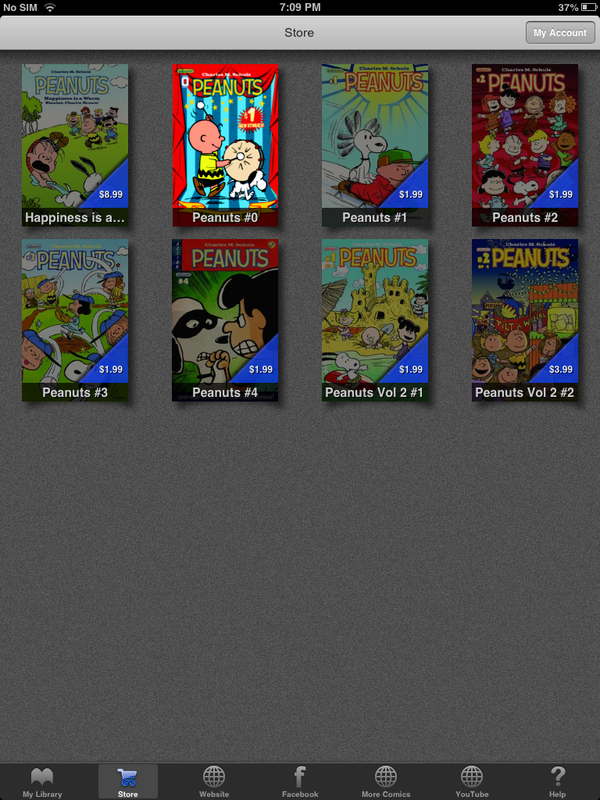 Studios is proud to announce the launch of the iTunes app PEANUTS COMICS by KaBOOM! The new PEANUTS app allows for fans to have fun, interact with other fans, get the most up to date information, and purchase PEANUTS comics. PEANUTS COMICS by KaBOOM! is free to download through Apple’s iTunes app marketplace. Digital comics and graphic novels can be purchased directly through the app using the user’s iTunes account. BOOM! Studios has a long history of groundbreaking initiatives in the digital comic space including being the first independent comic publisher to launch its own branded digital comic app. The Peanuts Comics by KaBOOM! App was developed by Snapplify (https://www.snapplify.com/), a mobile solutions provider that enables publishers, authors and content providers to package their books, magazines and brochures into digital publications for company branded Mobile Apps. Issue #0 of PEANUTS is free to download in its entirety through the PEANUTS COMICS by KaBOOM! app and all other singles are at their usual pricing of $3.99. Four weeks after a PEANUTS comic is released, the price of the issue purchased through the app will drop $1.99. Also available through the app is KaBOOM!’s first PEANUTS original graphic novel — HAPPINESS IS A WARM BLANKET — for $8.99. Along with purchasing comics through the app, the app includes a live feed from the official Peanuts Facebook page as well as a link to the KaBOOM! website. Both features will be accessible directly in the app. Additional features will be added to the app in the future.